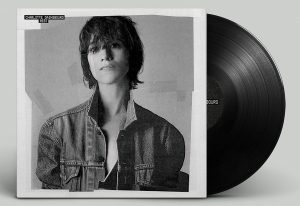 Charlotte Gainsbourg has enjoyed a notable career as an actress, appearing in such films as « 21 Grams » (2003), « The Science of Sleep » (2006) and the offbeat Bob Dylan biopic « I’m Not There » (2007). Although she’s flirted with the mainstream, starring in the title role of « Jane Eyre » (1996), Gainsbourg is most familiar to fans of independent and foreign cinema. Her profile rose significantly when she was named best actress at this year’s Cannes Film Festival. Gainsbourg was recognized for her role in the controversial « Antichrist, » the latest film from acclaimed director Lars von Trier (« Breaking the Waves »). Co-starring Willem Dafoe and scheduled to open Friday in St. Louis, « Antichrist » (the significance of the title is unclear) involves a tragedy that leads to violence. The film has divided moviegoers, who tend to be either intrigued or repelled by its extreme outrageousness — including graphic depictions of torture and self-mutilation. Q: How did you become involved with the film? A: It happened sort of in a rush. I read the script when I was on vacation, and just loved it. Not really understanding everything, but I just knew that I wanted to do it. And so I went to Denmark to meet with Lars for the first time. And after that meeting, I thought that he’d never offer me the part. He didn’t ask a lot of questions, but his questions had a lot to do with what my fears were, and if I had experienced panic attacks in the past. I felt much too normal in front of him, and so I left thinking, « This will never work. » Weirdly enough, a week later he called me and said, « I really want you to do it. » So it was a big surprise. Q: What were some of the challenges involved in getting into your character, a grieving mother who is identified only as « She »? A: What I felt was that she was completely anonymous. And I didn’t really know if Lars knew me that well, so the whole anonymous thing was going on both on and off screen. It was a bit weird. There wasn’t really a preparation for the part itself, for the character. It was mostly to do with all the emotions. It was nothing to do with the particular characteristics of a specific woman. It was just diving into deep emotions. Q: How did you feel about the Cannes award? A: I was so proud, and very, very happy. I was not used to Cannes, and especially showing a film like this one. It’s like it validated the whole experience. But it’s not that it made it worth it — not at all. It’s just wonderful to be able to carry a film further. Q: You’re the daughter of French singer-songwriter Serge Gainsbourg and British actress-singer Jane Birkin. And you have a parallel career as a singer, with Beck as collaborator on your next album. Did you grow up assuming you’d have a career in the arts? A: I wasn’t conscious of it. I started when I was 12 because I had this opportunity to test for a film called « Paroles et Musique » (released in 1984). At that time, I just wanted to get the part, of course, but it wasn’t such a big deal. After the test, I forgot about it, and then a few months later they called me back, saying that I was chosen. And I was thrilled, but I didn’t feel that I was becoming an actress or anything. I didn’t dare say that that was what I wanted to pursue. It just happened very gradually. Q: Do you approach roles in English, as in « Antichrist, » differently than those in French? A: It is very different. My culture is mostly French, and that’s my first language. So it’s easy to be speaking French. At the same time, with English, I have the feeling that in being myself and speaking English, I’m already impersonating somebody else. Q: « Antichrist » has prompted a wide range of reactions, from praise to condemnation. What’s your take on the response to the film? A: It’s an artistic film, made by a real artist. I understood that once I saw the film — not the first time, because I was mainly just surprised and shocked and amazed by the whole thing. It was quite difficult to take a step back and see it as an audience would. The third time I saw it was in Cannes, and what I got from the film was Lars’ vision — his deep and sincere vision of his own fears. It’s really the work of someone who’s very, very sincere, and who strips himself naked.